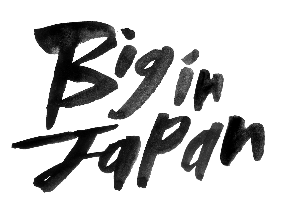 2012 sees Big in Japan bowl into its 6th year of throwing parties and by no means will be resting on its laurels! Tonight we're pleased to say we have two guests who were there when we set out as snotty little teenage students down our weekly haunt on the south coast! Needless to say these guys shaped the party with all the best records they could dig up and definitely taught me a lesson or two! 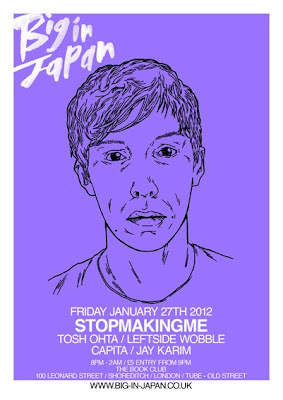 Stopmakingme aka Dan Avery now stands as one of London's finest djs with props coming from his own heroes such as Andy Weatherall, & Erol Alkan to recommendations in Time Out's 'Stars of 2012' (http://bit.ly/vysKOe). His productions and remixes just keep coming bigger, badder and bolder and 2012 is sure to be another great year for music with this guy around but dont just take our word for it. Warming up for Dan we could think of no one better than all round top guy and part time hero Tosh Ohta. The man famed for his weighty record collection, impeccable selection and serious nack for finding that divine mix is well over due a return to Big In Japan and we have managed to drag him away from the sleepy seaside town for the big night. Expect the usual funk infused disco served with a double helping of pop gems, electronic belters and R&B blips thrown in - Basically anything goes and everything could happen at this east end staple.